Home / 4. 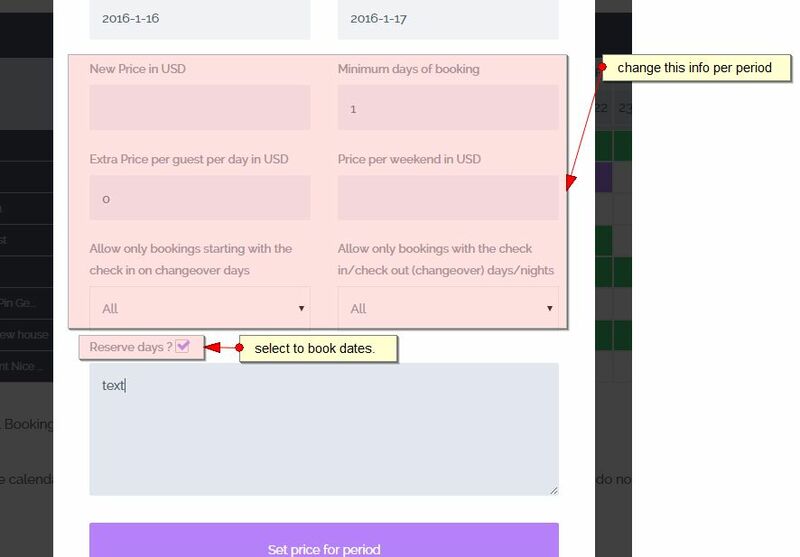 How Booking Works / Seasonal daily prices. Different prices for different calendar days. Price by guest. Seasonal daily prices. Different prices for different calendar days. Price by guest. Custom prices per day/custom day period or are set in Front End Submit -> Add / Edit Property Form ->PRICE. The picture below shows all price details (if you enable price per day). IMPORTANT: The custom price set will overwrite the main price, price for 7+ days and for 30+ days. Once you have set custom price as explained above, this will be the price that will apply regardless of the number of booked days !!! Price adjustments for a certain period are done from the same window. Price per night MUST exist for every property. 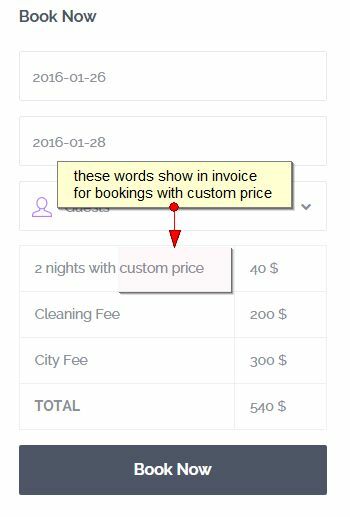 Users can set a custom price per night if user books more than 7 days (meaning 7 or more) and less than 30 days. 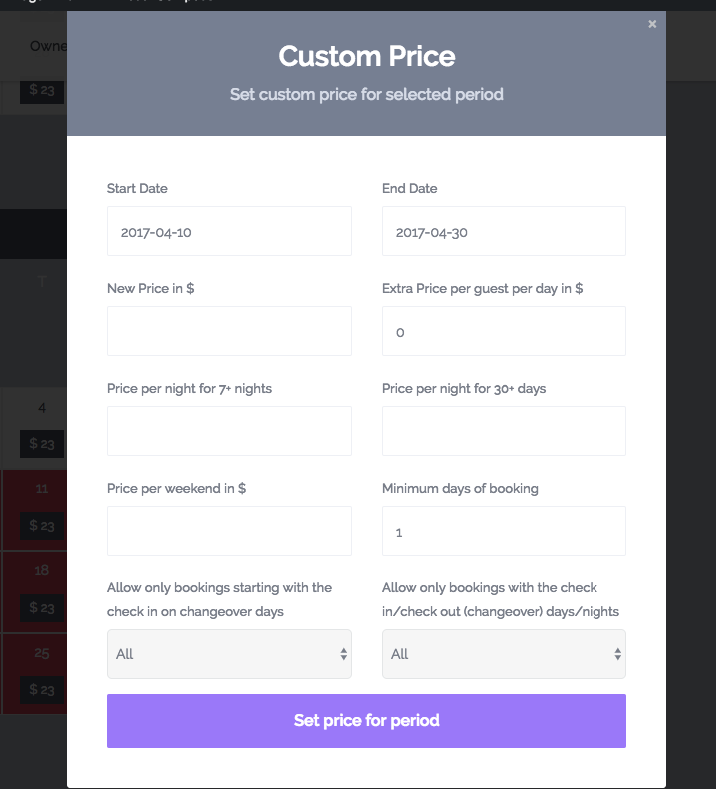 Users can set a 2nd custom price per night if user books more than 30 days. To have 7d+ or 30d+ globally, the weekend price must be empty. Taxes in % (taxes are considered included in the daily price). 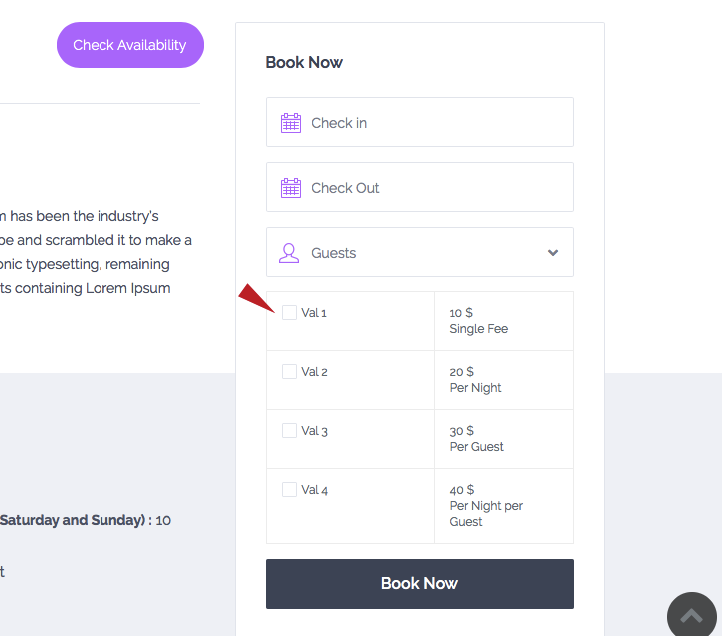 The minimum number of days applies for any booking request. You can override this value from Price Adjustments. Security Deposit in $ it’s an amount that will be refunded if no complaints are received from the owner. NOTE: Refund for this value can be done through the theme only if site admin installs and uses Payment Management ADD-ON from Rentals Club (which must be installed separately). 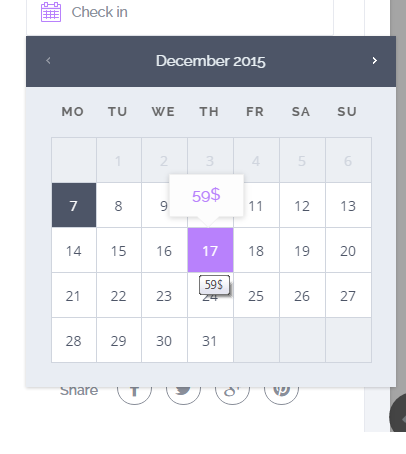 You can set discount in % and the number of days in advance for discount to apply. 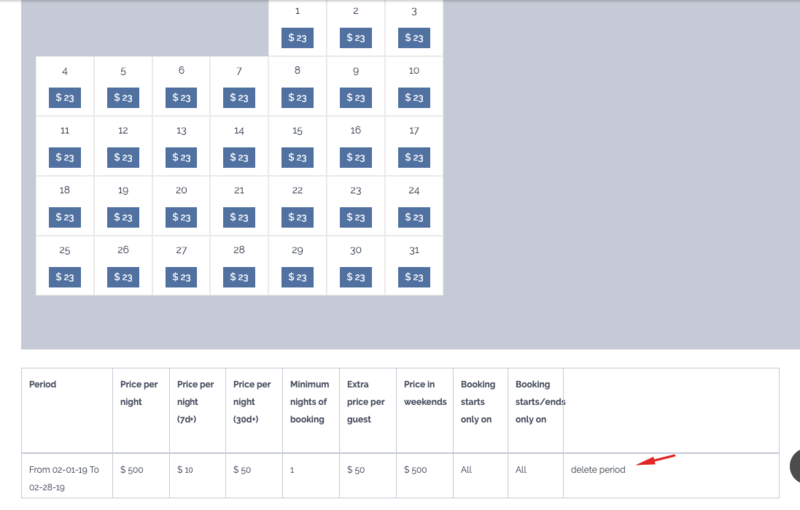 NOTE: The number of days means discount applies when the booking is made before those x days (or more days) in advance. 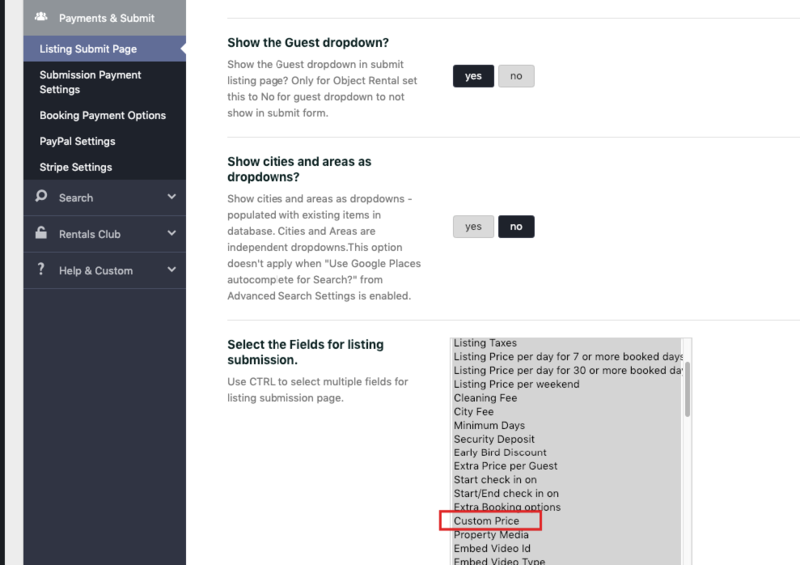 Extra Price per guest per night in … and check to Allow guests above capacity? Custom price per period can be set also from all in one calendar starting v for DAILY PRICES only. 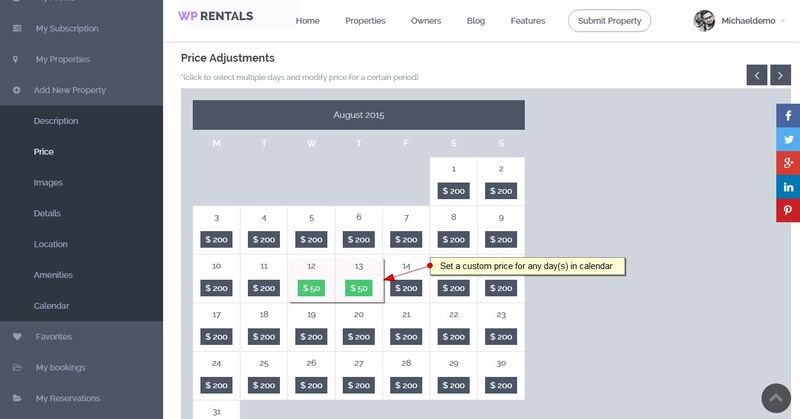 When user books a property, the custom price per night will display on hover. And invoices will be calculated with the custom price.